This diamond grinding wheel is silver brazing technology, have very good strength. Turbo diamond cup wheels are widely using for fast grinding for kinds of rough concrete surface. 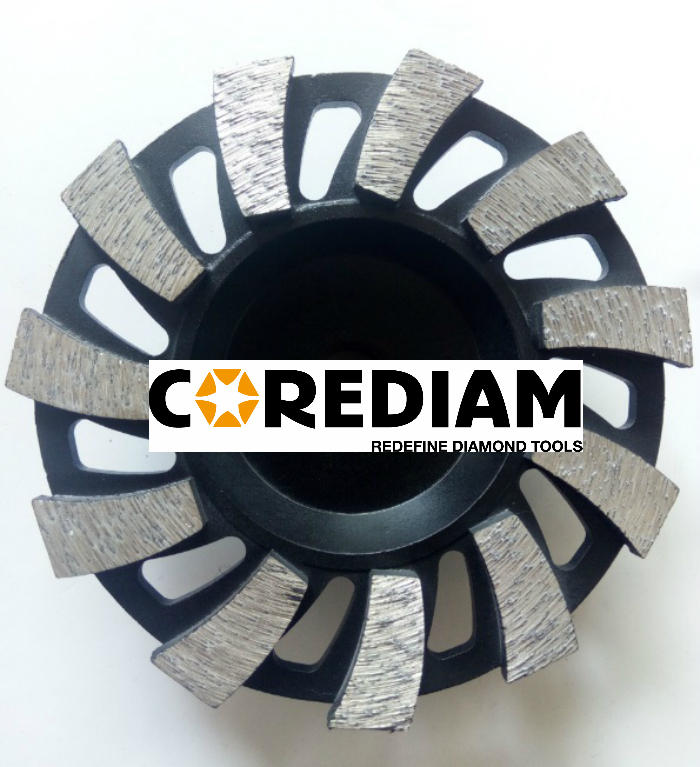 High diamond concentration make this Diamond Grinding Wheels have excellent grinding performance. This grinding cup wheels are for professional grinding markets, quality has been approved in many different markets, like North America, Mid-East, Europa. Advantage: Aggressively grinding concrete, cured concret and kinds of rough concrete surface, excellent grinding speed and grinding finishing. We have full&mature prodution line for diamond Marble Blade, capacity is 1000 pcs of diamond grinding wheels per month. Packaging: Each Cup Wheel is packaged by a separated box, 100 pieces are in one carton. 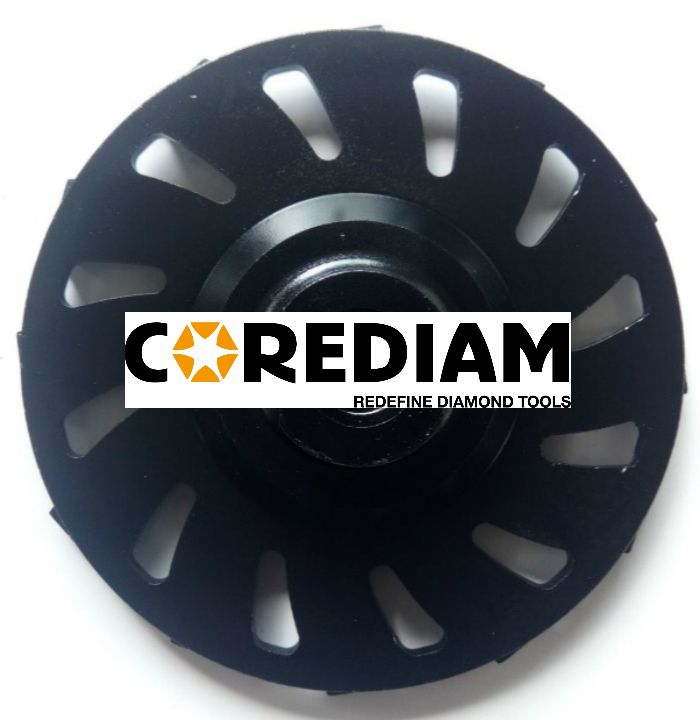 We Corediam provide full diamond cup wheels solution for your project, offering customerized diamond cup wheels depent on your demand of your grinding project. Looking for ideal Diamond Turbo Grinding Cup Wheels Manufacturer & supplier ? We have a wide selection at great prices to help you get creative. All the Turbo Grinding Cup Wheels are quality guaranteed. 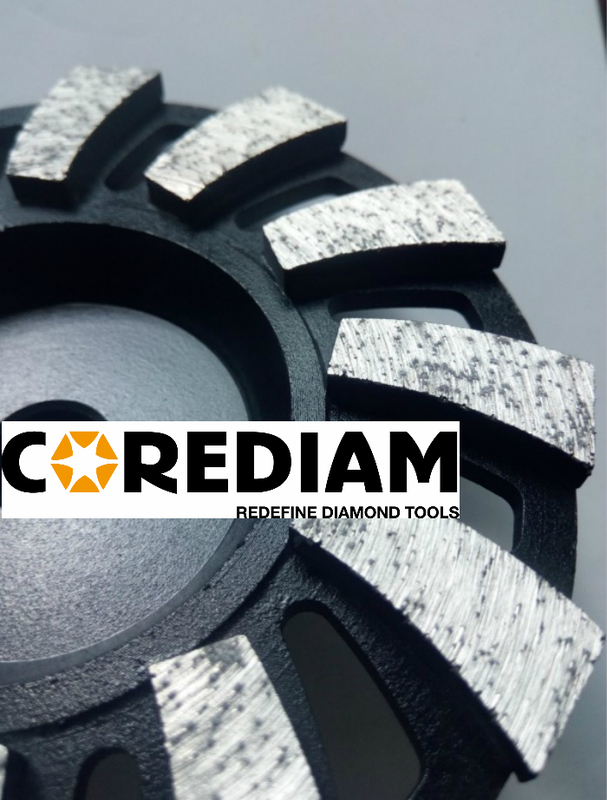 We are China Origin Factory of Diamond Grinding Tools. If you have any question, please feel free to contact us.